Since December, TTM attempts to reach Ned Garver have been met by bad news. 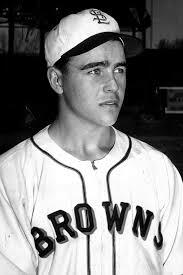 The famed 91-year old history maker of the St. Louis Browns has been hospitalized. His classy sons have been sending back personal notes telling that their dad is too ill to sign autographs. Please, take Mr. Garver off your “to do” list. He may have signed his last autograph. If you do want to write, simply send a note of thanks. For decades, Ned and his family have been devoted to collectors, fans and students of baseball history. Now is the time to show that their efforts have mattered. Hi I just discovered your site, it’s very interesting! I’m gonna check it out much more thoroughly in coming days. I enjoy hearing about fans’ encounters with players, it’s great to know that so many are down to earth, like Ned Garver, etc. Thanks, Steve.